29,900 SF of retail is proposed for the two buildings directly opposite Pentagon Row. Two-sided retail on Joyce Street will create shopping district synergies and increase the opportunity of success for retail tenants on both sides of Joyce Street. The proposed design includes a small courtyard between Buildings 1 and 2 to create symmetry with Pentagon Row. 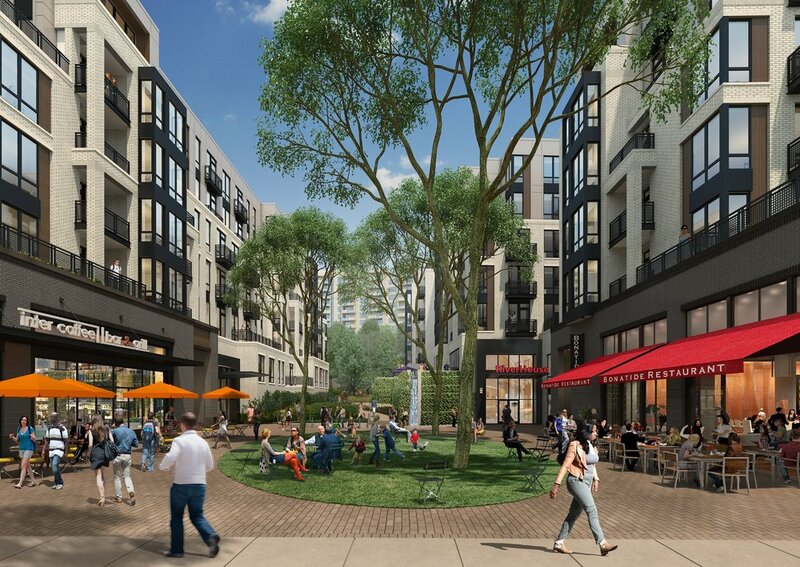 Also proposed is a retail bump out that will round Joyce Street and act as a capstone to Grace Hopper Park. 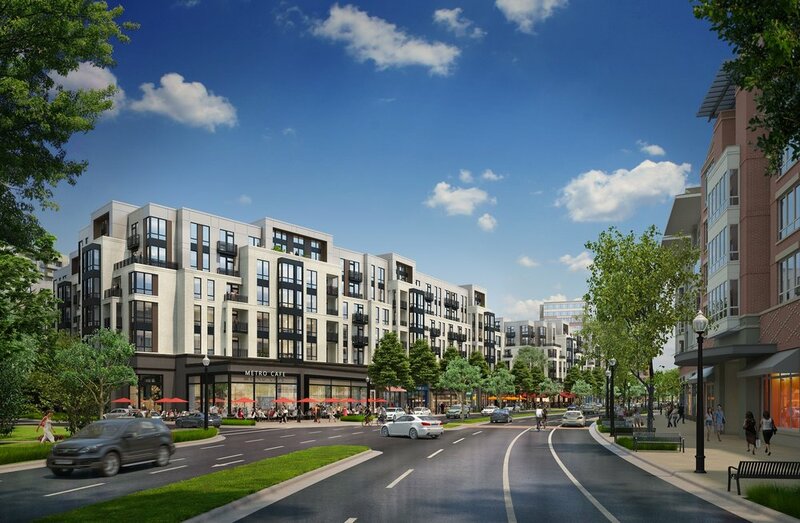 A second development option doesn't include retail.